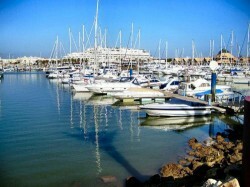 Embarking on a boat trip is a unique and refreshing way to explore one of Europe’s most famous resort cities, Vilamoura. 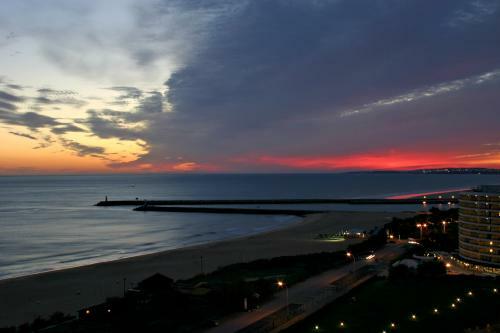 A ride through waters while immersing in the sight of the beautiful coastline of Algarve and sunset, beaches dotted with hotels, caves, and dolphins gives the traveller a different perspective of the place. 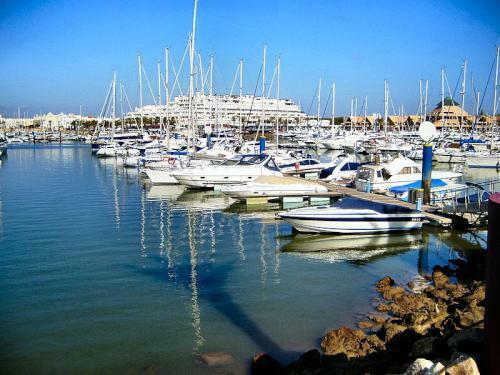 For those who are looking for a luxurious way to spend their holidays, to see the beauty of Vilamoura from the sea, or just to enjoy nature, a Vilamoura boat trip has been a delightful activity to do. Holidaymakers will surely enjoy the adventure cruise in a yacht to the Algarve coastline, dinghy ride inside the caves, or thrilling cruise with a school of dolphins up close. Luxury yachts and sail boats furnished in style are abundant in the marina. Each one are fully staffed, provides world class service, and offers only the finest wine, cocktails, beers, champagne, and meals while the guests enjoy the wonderful sceneries of one of Portugal’s favourite summer destinations. Eight to ten people, including the skipper, are typical capacity for these luxury yachts and may cost between 250 to 350 euros. For larger groups, chartered boats with a capacity between 60-140 persons are available. 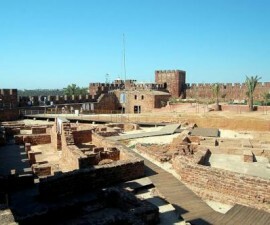 The trip can last half to a whole day, depending on the prepared itinerary. All throughout the trips, luxury and comfort of guests are of utmost importance. Vilamoura and other locations in the coastlines of the Algarve also feature caves worth the dive and spelunking. These trips often last between half to a full day’s worth of boating, depending on what locations are included in the itinerary. Yachts and catamarans are usually the transport of choice among chartered boat companies offering cave explorations. These vessels are always running at optimum performance and furnished to the premium. 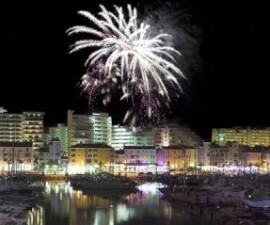 Visitors enjoy the sight of cliffs, fishing villages, the unspoiled beaches along and nearby Vilamoura, along with some of the deepest caves Europe has to offer. There are also boats that are available for fishing trips along the coast. Chartered boats usually stop so tourists can swim, snorkel, or have barbecue parties on a pristine beach, or simply take in the sights along the coast. 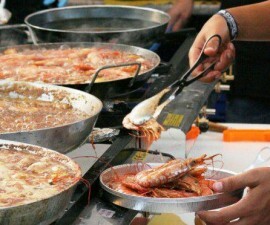 Prices are based on the length of the trip and the type of vessel. Lovers of these gentle creatures won’t get disappointed: the Algarve coastline is home to schools of dolphins that are truly a sight to behold at sea. 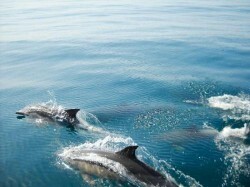 Vilamoura has accredited boating tours offering dolphin watching as part of its itinerary. While spotting rocky hills, and enchanting caves, tourists can enjoy a chartered boat ride that’s sure to catch sight of wild dolphins swimming. Local wild life authority, particularly the Portuguese Nature Conservation Agency, of course protects the dolphins so all activities involving them are guaranteed safe and always has the animals’ welfare in mind. These dolphin watching chartered boat rides can last somewhere between 45 minutes to 2 hours, and may cost around 25 to 35 euros. You can find chartered boats whose only goal is to let visitors bask in the beauty of a sunset off the coastline of the Algarve. 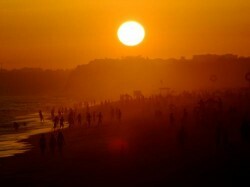 These trips are the most popular options among newlyweds, couples, and married couples celebrating their anniversary. Ships cruise more slowly to take in the breathtaking sights of all sixteen miles of coastline. The sunset watching chartered boat rides usually cost around 20 euros for adults and 10 euros for young children from 4-12 years old. Children younger than four may take the ride for free. There are several establishments in Vilamoura offering speed boat rentals since it’s the quickest chartered boat service around, and among the most preferred by first time visitors. But you need to also secure reservations, as most speedboats are quick to get chartered. Speedboats are great for taking beach tours starting in Vilamoura to a secluded beach nearby, where visitors can put up a picnic, go snorkelling, or have a dip in the crystalline waters. The trip is perfect for day tours, lasts up to eight hours, and usually takes up to eight persons, including the skipper. Visitors can also try ringo rides, wakeboarding, and water-skiing while on the boat trip. The ride can cost within the one hundred fifty euro ballpark. For fishing aficionados, they may also rent these boats to take to fishing around the coastline.